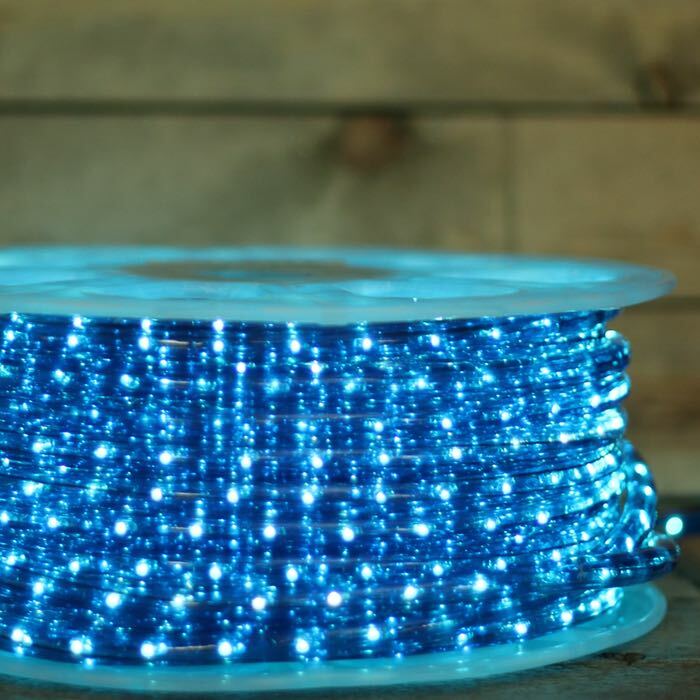 These blue rope lights are the color of sapphires. 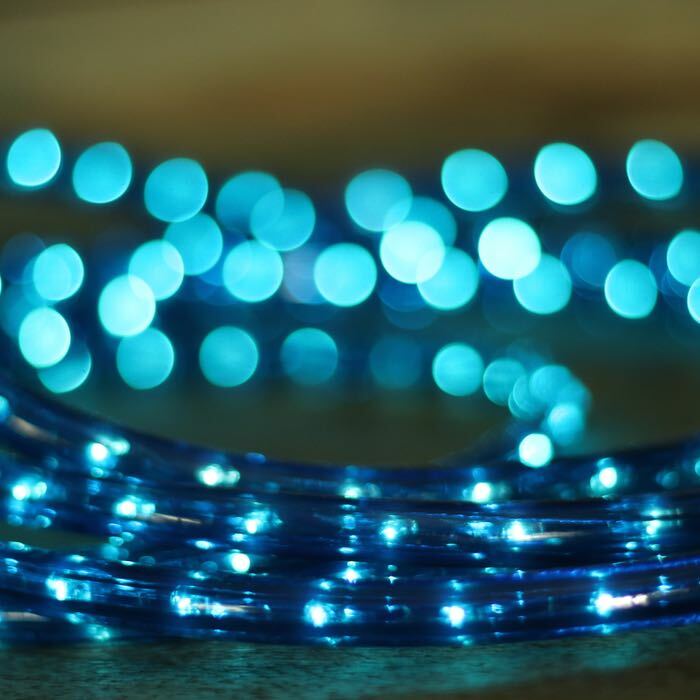 The connections in the rope are "floating" and can be cut only at cut marks located every 36 inches. Note that there is a limit to how tightly you can wind the rope around poles and columns. 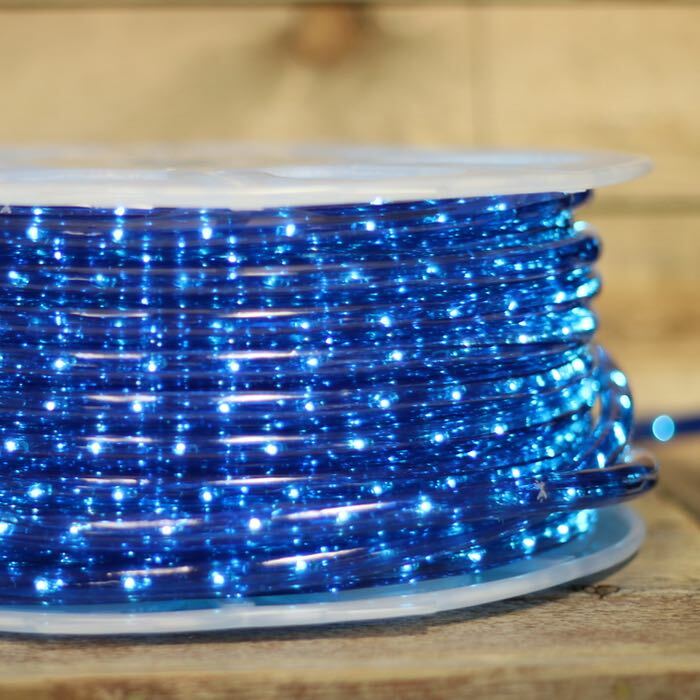 If a section of rope light should fail, splice connectors are included with each spool to allow you to replace that section. 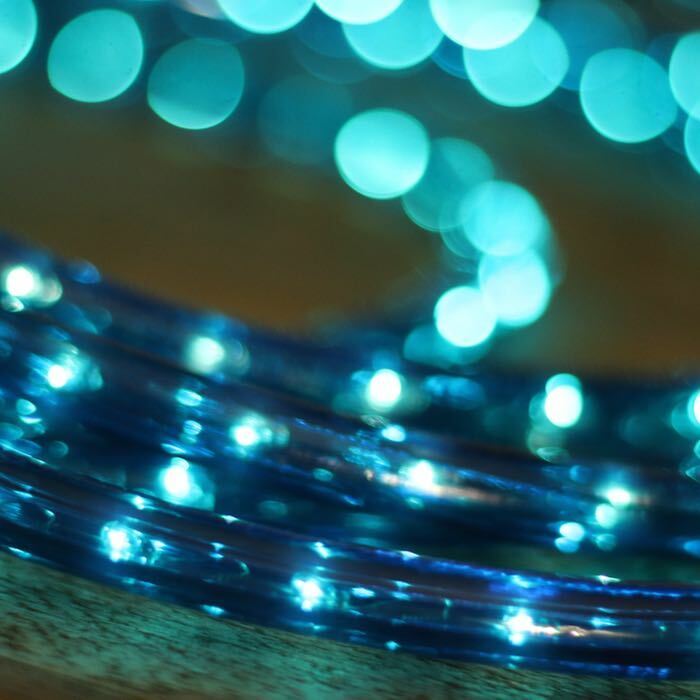 Cut in 36" Lengths (Uses 8.25W/Series of 18 Bulbs); If lamps in a series fail, remaining lamps stay lit. 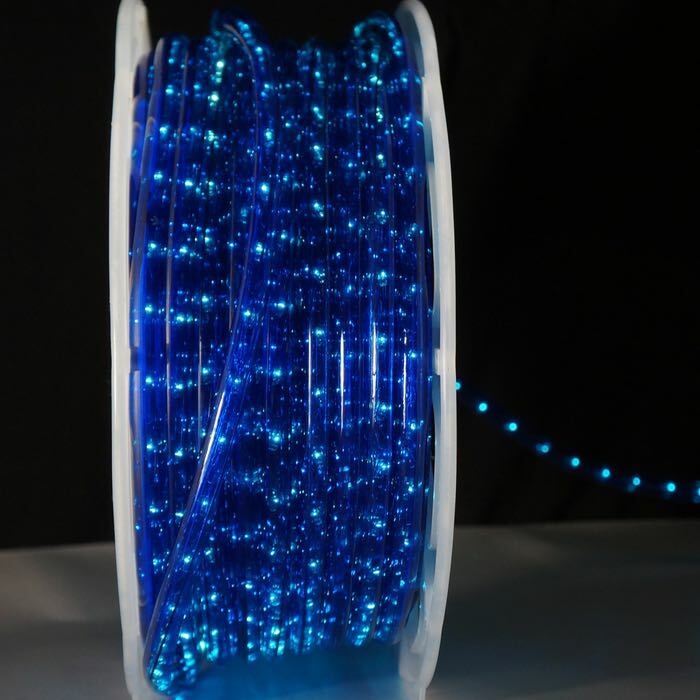 Replace any series by splicing in a new series of lamps.